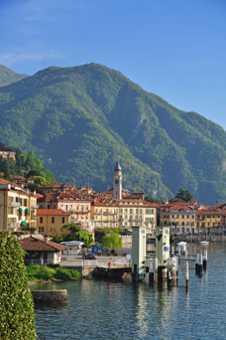 We are in Menaggio – Lake Como at the floating dock on the lakefront. 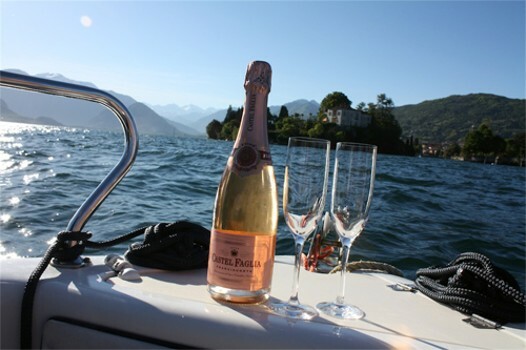 At request we also deliver our motorboats in Bellagio, Varenna, Tremezzo, Cadenabbia and San Siro. 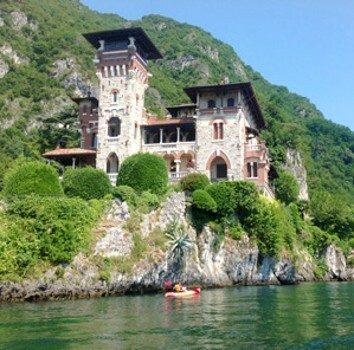 No need for a license to rent your own boat and see Lake Como from the water. Our NEW boats are equipped with a GPS tracker system and powered by YAMAHA and MERCURY four stroke engines—high speed and reliability guaranteed. 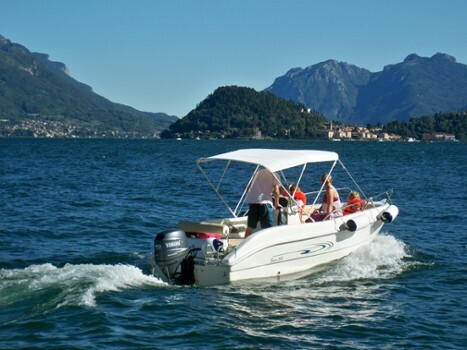 All our boats are entirely Made in Italy and they are produced by AS MARINE-ITALIA and RANIERI INTERNATIONAL boat yards. 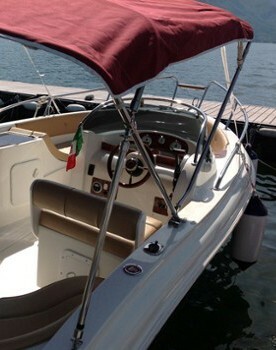 All our boats are endowed with a 70 liters tank that permits to sail for 6/7 hours without problems of fuel. 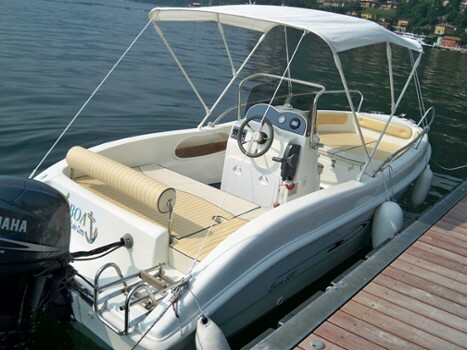 Yamaha and Mercury engines (40 HP four-stroke, to drive without license) assure at the motorboats a very good stability and a reliability. 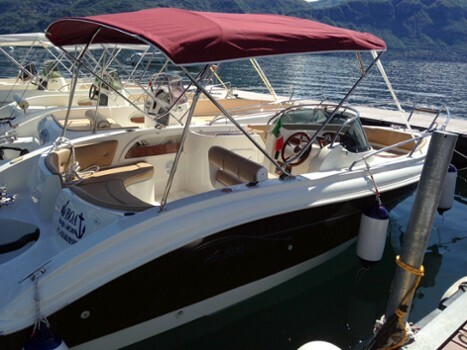 Also during windy days on lake our speedboats are very stable and the high topsides protect people inside from the splashes. 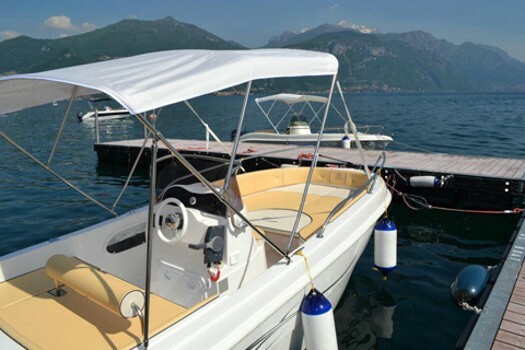 Finally for your safety all the boats are furnished with a GPS tracker system and with all other safety equipments required by law. Our SIT-ON-TOP "OCEAN SCRAMBLER" kayaks are produced by "Ocean kayak". Scrambler Kayaks are suitable for 1 person and they are very stable and easy to paddle. The kayaks are endowed with a confortable backrest to facilitate the paddler. 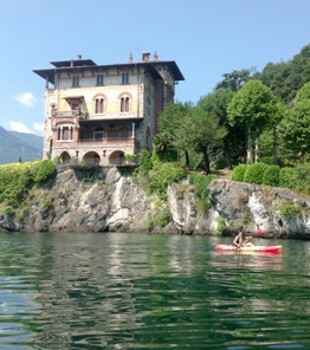 At disposal of our clients it is also available a double-sit kayak for 2 adults or 2 adults and 1 child. The kayaks are suitable for all users; experts but also beginners without previous experience could enjoy on board of our kayaks. For your safety all the users have to wear an appropriate life jacket. With a small strain you will see directly from the water wonderful villas, fabolous patch of rocks and you can see beaches or other areas otherwise impossible to reach from the streets. We advise to visit the "Beaurivage" beaches in Griante with the typical tower on the water or the marina and "La Gaeta" castle in Nobiallo. At request we also provide special life jackets for children and babies for free. 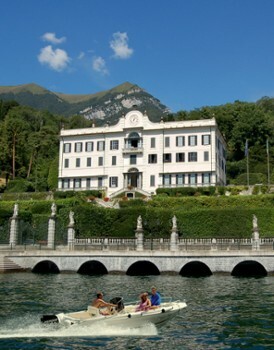 Nearby Things to Do include: Museums such as Ethnographic and Natural Museum of Val Sanagra and Civic Museum of Ornithology and Natural Sciences; Water Activities such as Nautic Boat Rental and Lido di Menaggio; Hikes & Walks such as Hike to San Martino and Pilone Sasso San Martino; Villas such as Villa Mylius Vigoni and Villa Garovaglio Ricci; Towns such as Griante and Cadenabbia; Churches such as Santa Marta and San Carlo.